A tax return is a detailed form (or forms) that a taxpayer fills in order to show his/her income and file taxes with the concerned authorities. Tax return can also be considered as a process that allows taxpayers to calculate their tax liabilities, remit the payment, and/or request the refund. As filing GST return is quite a cumbersome and error-prone task, businesses must prefer seeking GST return filing solutions from experts. GST Keeper offers one-stop GST return filing solution for enterprises across realms while ensuring utmost adherence to return filing guidelines. We are equipped with enterprise-class GST return filing tool that can facilitate error-free filing of GST return form. Our fast, accurate, and automated GST return filing solution is an idyllic remedy for all the ailments related to GST filing and remittance. To file GST return immaculately, entrust your mission-critical GST return filing function to GST Keeper. GSTR Preparation: Our experts ensure comprehensive guidance as it relates to filing GST return form through single interactive dashboard for all sorts of taxpayers. We also help taxpayers automate their communications with GSTN in case of any unique query. Automated and customized filing: GST Keeper ensures automated GST return filing solutions for businesses of all sizes, and we also ensure customized solutions for any specific jurisdictional requirement. Immaculate return processing: Our GST tool can import your transaction and tax data to prepare all the GST form and submit them to the appropriate taxing authority. Reconciliation of Invoices: GST keeper aims to help clients maintain immaculate consistency and accuracy in the invoices related to sales. We also ensure timely report generation for Input Tax Credit (ITC). Maintaining Filing Archives: We maintain an organized database to help clients refer to their historical filing, invoice details, filing acknowledgements, GST tax refund forms, and so on, as and when required. Records Retention Compliance: GST Keeper’s digital archiving solutions help clients comply with jurisdictional requirements related to records retention in the most competent manner. Login Integration: To help clients maintain distance with upshots of forgetting login/passwords, GST keeper takes care of all the e-sign/digital signature integration. Review of Compliance Data: Our seasoned tax experts follow trusted quality check measures to ensure comprehensive review of all the compliance data. Government relations support: We help clients engage concerned government authorities in the most enriching manner so as to develop enduring relations with them. Notice Management: Our GST return filing tool can keep track of all sorts of tax notices and information in an efficient manner. What differentiates our GST return filing solution? Easy-to-deploy GST software: Our cloud-based GST software is a perfect match for businesses (of all sizes) across realms. Not only do we ensure hassle-free integration of transactional data into the GST accounting application, but we also guarantee streamlined tax returns solutions. Precise: GST Keeper takes care of all sorts of jurisdictional requirements, which paves way for a high level of precision with respect to the amount of tax remitted. Importantly, our enterprise-class GST accounting tool can ensure timely remittance. Fast: Our software-based GST return filing solutions can help you minimize the time you spend on tax calculation and processing. With GST Keeper, you can also keep track of transaction data and payment liabilities so as to ensure timely remittance. 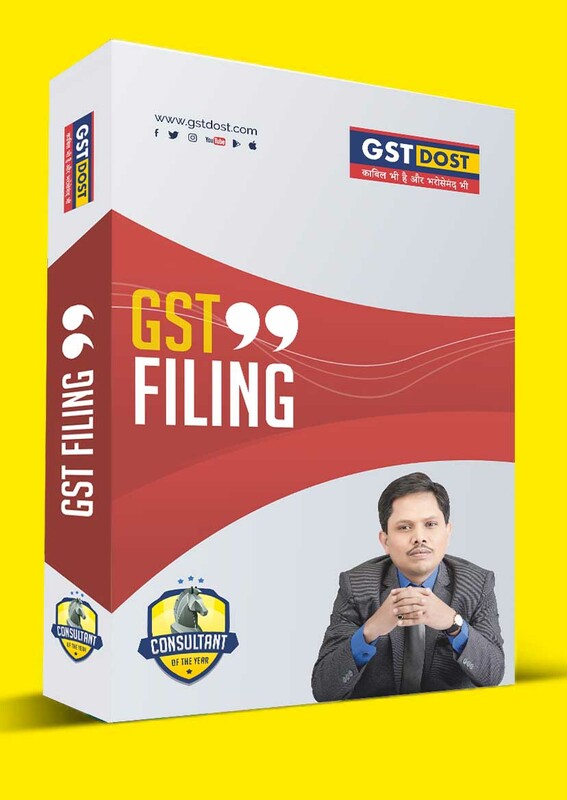 Pool of experts: GST Keeper is blessed with a pool of accomplished tax experts who can ensure you a strategic GST return guide, and they can also help you adhere to the given set of guidelines related to GST refund in an expert manner. Affordable: Our attractive pricing structure certainly makes us a preferable option. Not only do we ensure cost-efficient software-based GST tax return filing solutions, but we also offer scholastic training sessions for your professionals that reduce overhead training costs.